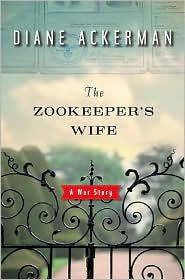 Although I've read numerous books about the Holocaust, I have never encountered the kind of information I found in Diane Ackerman's The Zookeeper's Wife. Most books on WWII focus exclusively on the human element; this book is different because it takes a close look at the toll the war took on animals, specifically the residents of the Warsaw Zoo. Through the diaries of Antonina Zabinsky, "the zookeeper's wife," we get the stories of all the zoo's characters, both human and non. and transform herself into a panther, badger, or muskrat (235). walk. During the height of the war, the villa hosted a chaotic mess of animals and people, co-existing in relative harmony. Antonina empathized with every individual, continually drawing similarities between the humans and the animals. For me, the most fascinating aspect of this book was Ackerman's description of the Nazis' exhaustive philosophies, which they applied not only to humans but also to plants and animals. Despite the established theory of "hybrid vigor" - the fact that inbreeding actually strengthens bloodlines - German zoologists chose not to allow Polish animals to mate with their pure bred counterparts. Partly because of this, the rarer animals in the Warsaw Zoo were transported to Germany, while the less "important" residents were simply shot. Like all Holocaust stories, this one kept my interest. I did get bored with some of Ackerman's endless animal descriptions - I'm not a big animal lover - although those passages seemed more warm than those discussing the humans in the book. Ackerman talks about people in kind of a cold, remote way. The story also seemed random and spotty - I found myself getting too much information on subjects I didn't find interesting (the nesting habits of various species) and too little on the topics I wanted to know about (Antonina's writing). The last third of the story turned into a tense and compelling conclusion. Overall, though, I thought the book was just okay. I have this one in the giant stack. Nice to hear your review. I've been on a WWII book reading binge and this might be just the one to complete that. The premise of this books sounds fascinating! Pity you didn't enjoy it more. I think I have this on my TBR list, but I'm not positive. I'm guessing it's going to stay in limbo a little while longer. You know, I'm so ambivalent about this book. It was good - interesting, well-written, well-researched, etc. I just thought it was told in a random, kind of distant way. If the premise sounds interesting to you, definitely read it. I just wanted more from the book, I gess. Hi, I just found your blog. Lots of good stuff, here. I like reading books about animals and this one looks very interesting, a premise I've never seen before. 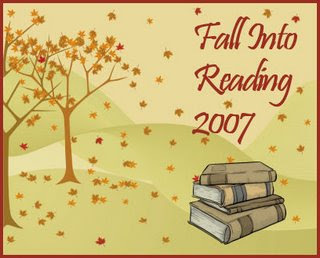 I grew up LDS and am interested in reading what you have to say about LDS fiction (I never could read much of it) Do you like Orson Scott Card? Just found your blog from googling "animal point of view". I've just finished reading Black Beauty. I started Watership Down more than six months ago but it was stalled and didn't progress much ever since. Still, stories from an animal's point of view have come to get my interest.